Finally finished this old thing, woo! I still think it's a little sloppy, but I'm mostly just glad I finished it. Let me know if you have any problems with it and I'll try my best to fix them. try this it helped me FOR PEOPLE HAVING TROUBLES WITH THE DESKTOPBUDDIES!!!! NOTE: This'll only work if you have a 64bit Windows system !!!! I got a new pc with Windows 7 and ofcourse, just like I feared, the Shimeji didn't work. I already started panicking, but my dad figured out it didn't work because Shimeji hates 64bit PCs. So this is what you have got to do. It looks quite difficult, but it's very easy! Just work step for step. He's so cute! I can't even... XD I'm dying over his cuteness! 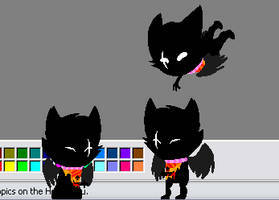 Do you mind if I make a dark version of this just to get use to the shimeji program? And possibly make it public? Ofcourse I will give credit over to you! what do you mean by "dark verison"? like recoloring it? do you have an rar file? apologies for the late reply, but I added a rar download to the description! Ah, hello! First off, that's really cute and wow and i have no clue how i could pull of making these. 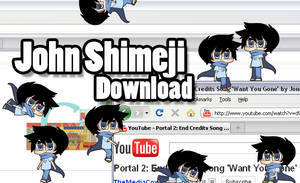 then you can unzip the .zip file and click on the shimeji application to run it! aah thank you , i had no clue i had to use winrar! Hmm, you probably need to download java then. Yeah, my friend Anya helped me out with that! I got in installed! Thank you so much! For some reason, this doesn't work for me. Whenever I try to open the application it doesnt do anything. I mean, it acknowledges that i've clicked it, but it doesnt open it. 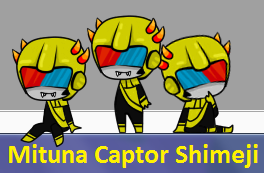 I tried another shimeji and it worked fine. So, i'm stumped. first off, apologies for answering this so late. I've been on vacation for the past week. secondly, are you clicking on the application or the jar file? are you getting any error messages? Oh, it's quite alright. I figured out what I had to fix. Hm, could you take a screenshot of any error messages you're getting (if you are getting them). You probably need to download java then. 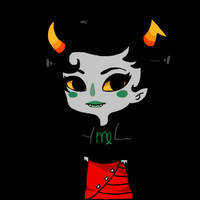 hegiouewhgjsfkghsdgliuhrdus YES. :33 This makes me so happy! Did you hit any snags on the way to making it? Otherwise great job, no problems! Glad to see that you like it!